I'm currently staying at a beautiful ryokan in Japan. 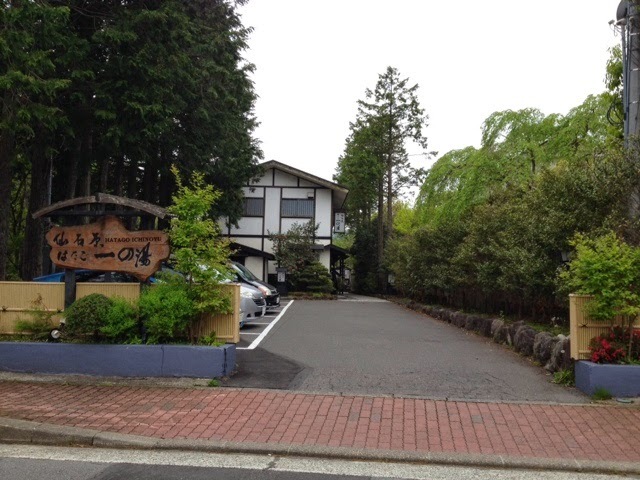 It is located in a valley near Mt Fuji and all around is lush, green bush land. It's my relaxing part of my holiday and just as well as it's raining outside. As lovely as this place is, it is so confusing for an ignorant westerner like me! It is incredibly traditional - think tatami mat flooring, paper walls, yukata, no chairs/beds just cushions and a small mattress on the floor and an onsen. So far I've not known what shoes to wear (my own, the ones provided or socks) how to dress (yukata or own clothes) and most confusing of all - what to eat and how! Here is this morning's breakfast... In pictures as I have no idea what I ate and if I did it appropriately! 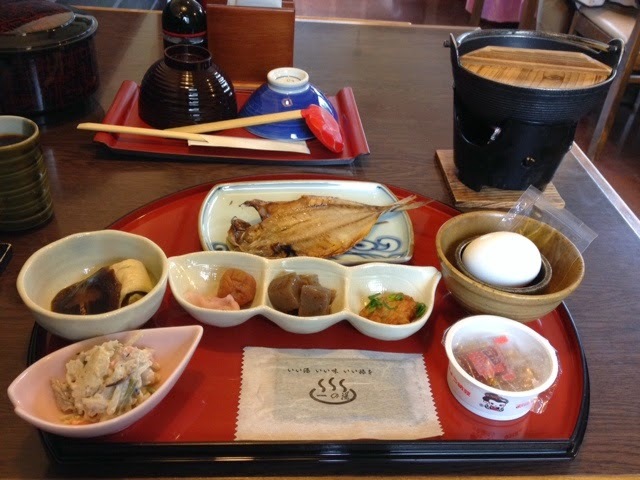 Clockwise on tray from back: cold ?river fish (impossible to dismantle and eat with chopsticks! 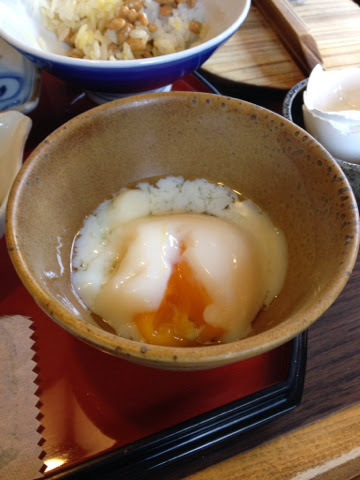 ), soft boiled egg (see below), natto, nori, Japanese coleslaw, shiitake mushroom and something else. 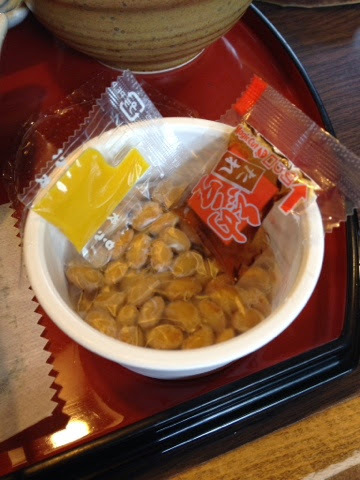 In the centre L-R: pickled plum and vegetable, no idea, no idea. 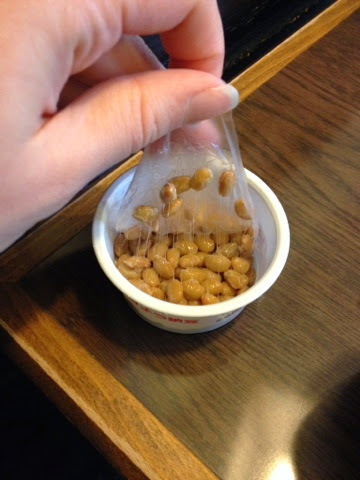 I had read about natto before arriving so was not so shocked when I peeled open the sticky, stringy container. It came with two sauces, mustard and ?light soy. I put it on some rice but I saw a man nearby eat it straight from the tub whilst another lady had it on rice then somehow , using chopsticks, wrapped nori around a mouthful and ate it daintily. See the stringiness? Let's just saw it wasn't my favourite however it was nowhere near as fermented as I was expecting. It was somewhat bland without the condiments but the stringiness made it so hard to eat - cobwebs everywhere!!! The other confusing part to this meal was the egg. 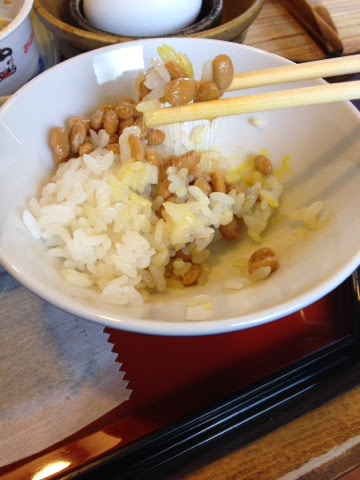 To me it seemed like a 63 degree egg but how on earth do you eat that with chopsticks!?!? I contemplated putting it on some rice but in the end I just broke open the yolk, picked up the bowl and slurped it. 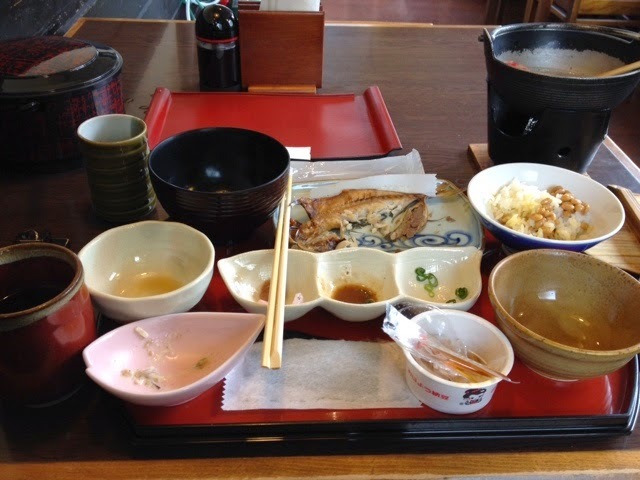 It was delicious, especially with the dressing which tasted like the dressing you dip tempura in. All in all it was a delicious breakfast and I get to have it again tomorrow! Still not sure how Japanese people stay so slim with all this food! 2 large meals per day is working quite well for me!